 Southern California contractor, Chandler’s Roofing, announces that it has been awarded the prestigious Certified Green Roofer designation from GAF, the largest roofing manufacturer in North America. Chandler’s Roofing is pleased to announce that it has been awarded the prestigious Certified Green Roofer designation from GAF, the largest roofing manufacturer in North America. The GAF Certified Green Roofer program was designed in consultation with the US Green Building Council in order to recognize leading roofing companies for their commitment to sustainable business practices. As part of the designation process, Chandler’s Roofing has participated in USGBC-approved training on the many important contributions the roofing system makes to a green home, including the advanced technology behind cool roofing; techniques for improving indoor air quality via proper attic ventilation; preparing a roof for solar energy; and asphalt shingle recycling. Additionally, Chandler’s Roofing has made a commitment to running a sustainable jobsite and has agreed to participate in their local USGBC chapter to continue enhancing their knowledge of green building practices. “We are honored to achieve the Certified Green Roofer designation from GAF and are committed to improving our systems, jobsites, education and company for a more sustainable future for Chandler’s Roofing and our Southern California community,” states company CEO, Brian Hicks. Few large-scale building systems contribute to green building in as many ways as the roof does. A professionally installed GAF asphalt shingle roofing system from Chandler’s Roofing can increase your home’s durability by controlling moisture, help improve energy efficiency via cool roofing, provide a base for solar energy, and help to improve indoor air quality via proper attic ventilation. More importantly, at the end of its long service life, asphalt shingle roofing is widely recycled into asphalt pavement, meaning that in many cases your old roof is diverted from a landfill and can become a new road.